Kiss of Death, based on the renowned 1947 film noir of the same name, marks the point at which Hollywood started to get lazy in its use of Richard Price: This, the industry seems to have decided, is the guy who writes remakes of old crime movies. So while Sea of Love and Mad Dog and Glory used some elements of film noir storytelling to deliver original stories that addressed themes Price was interested in, Kiss of Death (which follows in the footsteps of the Night and the City remake) feels more like the for-hire job it is, with little evidence that Price ever held it particularly close to his heart. But it’s still well-done and enjoyable in its own right, even if it doesn’t provide many thematic dots for me to connect. 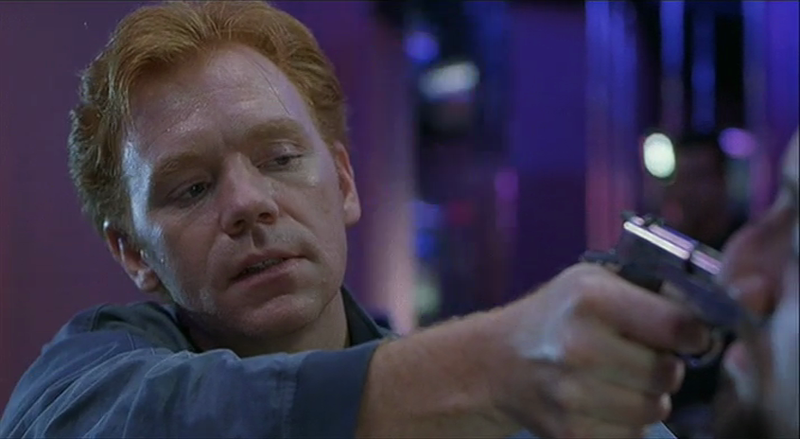 The outline of the story stays pretty close to that of the 1947 original: Jimmy (David Caruso) is a former NYC car thief gone straight who gets harangued into one last job, only to end up as the one guy on that job who gets caught and sent to prison. 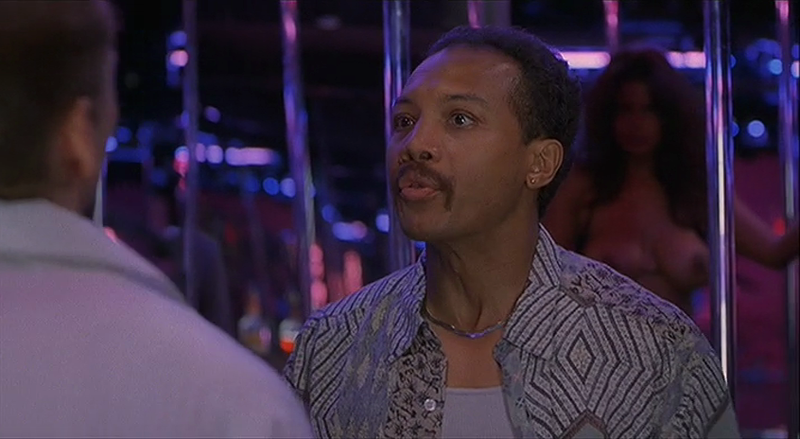 Upon his release, the prosecutor’s office and the cops (including Samuel L. Jackson as a detective who was non-fatally shot in the face during Jimmy’s initial arrest) more or less force him to turn informant against Little Junior (Nicolas Cage), a psychotic local kingpin Jimmy knows from back in the day. That endeavor of course doesn’t go according to plan, leaving Jimmy caught between the law’s threat to his freedom and Little Junior’s threat to his and his family’s safety. Some critics felt that the character was too weird, that his inconsistency or lack of realism undermined the story. And I mean, I guess, but it’s all so entertaining that I’ve got to count the guy as an asset rather than a liability here. The stacked supporting cast–which includes Helen Hunt, Kathryn Erbe, Michael Rapaport, Stanley Tucci, Ving Rhames and Philip Baker Hall–has a lot of fun with this stuff, while Caruso functions as the movie’s icy, (mostly) humorless core, proving that at least some good came of his widely criticized decision to quit NYPD Blue for a career in film. As was the case with Mad Dog and Glory, the film falters a bit in its climactic final showdown. The original Kiss of Death went out with a suspense sequence that was small in scale but grippingly tense, while the equivalent scene here has more action yet doesn’t feel as satisfying (or make as much narrative sense). That aside, though, this is a smartly made thriller that’s engaging throughout even if it doesn’t offer anything particularly new. And, again, it’s got Nic Cage acting crazy, and that’s always fun. 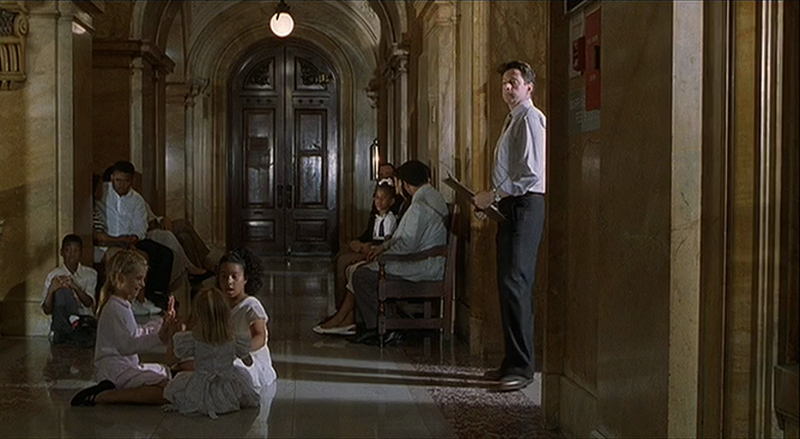 • Richard Price appears onscreen here as a city clerk. It’s perhaps his smallest Obligatory Richard Price Cameo, but he still gets in a couple lines. • Samuel L. Jackson’s character is named “Calvin Hart” after a Jersey City detective who helped out with Price’s research for the novels Clockers and Freedomland. • Hey, look who’s credited as an office production assistant: It’s Morgan Spurlock, future director of Super Size Me! Next week: Spike Lee brings Clockers to the big screen. 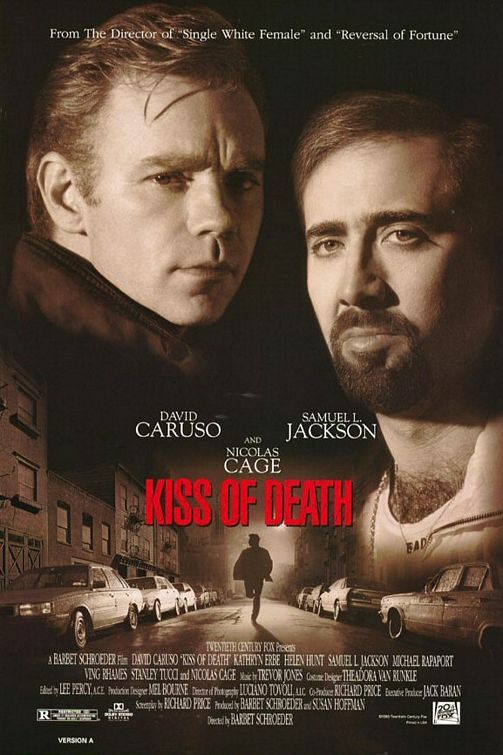 This entry was posted in Films and tagged crime, david caruso, film, kiss of death, movies, nicolas cage, remake, richard price, samuel l. jackson, thriller. Bookmark the permalink. =). We may have a link exchange contract between us!